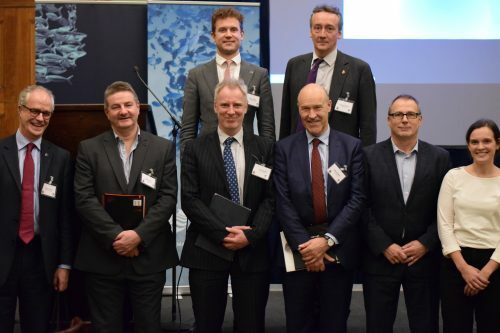 An invited audience of 140 people from fishing, government and environmental groups were treated to an explanation of what makes four of the world’s top fisheries management regimes successful at Fishmongers’ Hall on 21 November. 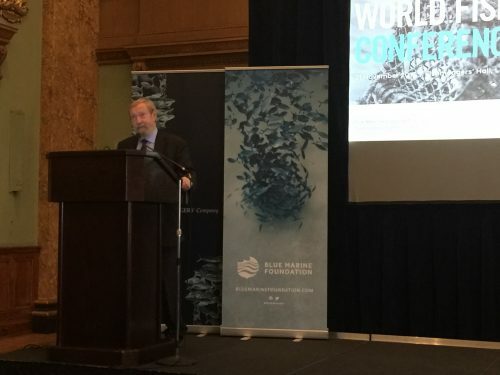 The conference was organised jointly by Fishmongers’ Hall and the Blue Marine Foundation through a committee which included key figures from all sectors of the fishing industry and from environmental groups. 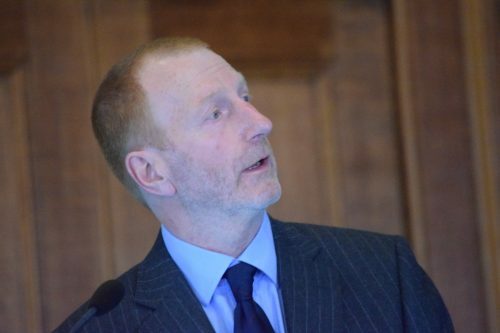 Introducing the day, Nigel Bankes, Prime Warden of the Fishmongers’ Company, said that Britain had a once-in-a-generation opportunity to write a new Fisheries Law after Brexit and the day was an opportunity to see what did and did not work. The Company, he said, prided itself on its impartiality and had no view on Brexit other than an interest in good outcomes based on rigorous thinking. 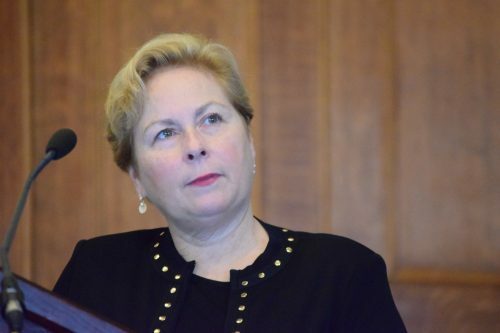 Margaret Spring, the main speaker in the session on the United States, served at the US National Oceanic and Atmospheric Administration from 2009 to 2013 as chief of staff and then as principal deputy under secretary for oceans and atmosphere. Previously, she was senior counsel in the US Senate from 1999-2007 and played an important role in reforming US fisheries policy by revising the federal fisheries Act. She invited Britain to learn from the US experience, including the collapse of the North East groundfish fishery of the 1990s, the remarkable 2014 turnaround of the severely depleted West Coast groundfish fishery using models pioneered in Alaska, and how coordinated state-federal management succeeded for Atlantic striped bass. 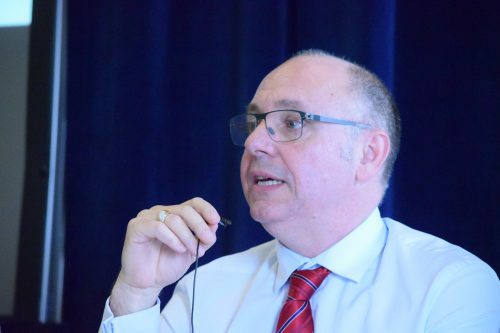 A panellist on the US experience was Andrew Rosenberg, who as regional administrator in the North East, had to close George’s Bank to trawling and scalloping after two weeks in the job. 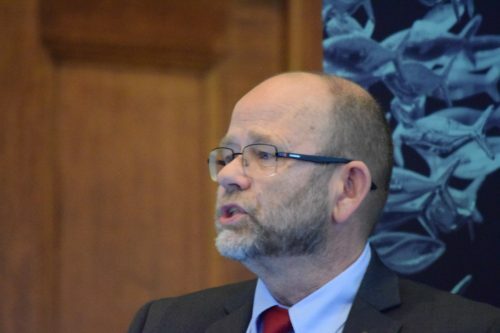 The New Zealand model was explained by Geoff Tingley, formerly of the Centre for Environment, Fisheries and Agriculture in Lowestoft who went on to be a principal scientist at the New Zealand Ministry of Fisheries from 2011 to 2014. He explained that New Zealand was a model of clear and enforceable legislation, based on sustainability criteria, with very strong penalties if found guilty. Judges had no discretion and if found guilty of an offence fishermen could have their rods, cars and multi million pound vessels confiscated as well as their access to fishing opportunities. He was particularly keen to bring out the differences between Britain and New Zealand where the industry had a major involvement in scientific research. He also explained the system of Individual Transferrable Quotas, rights to fish given in perpetuity and fully tradeable. He said that the deepwater sector showed much higher performance in terms of management and sustainability than the inshore, where there were conflicts with the recreational sector. 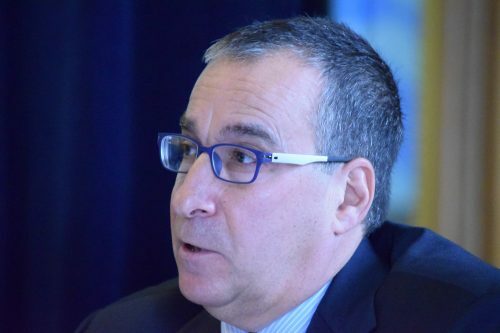 George Kailis, professor of management and law at the University of Notre Dame, Australia, explained that Australia was a federal system of government with no single fisheries law. It has complex cross-jurisdictional arrangements which may have relevance to Britain and its devolved entities. He recommended these should agree upon a single responsible authority for the management of particular stocks. Scotland, for example, could take responsibility for managing the cod. 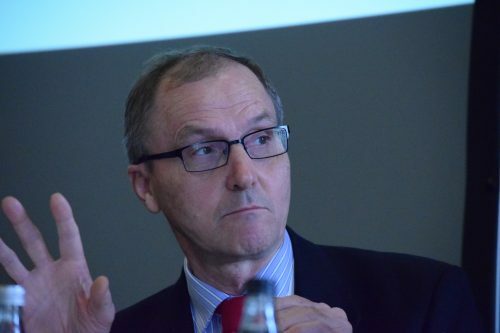 Peter Gullestad was director general at the Norwegian Directorate of Fisheries from 1996 until 2008. He explained that the Norwegian experience was shaped by the crash of the herring in 1970 and the cod in 1990. Ninety per cent of the value of Norway’s fisheries was in stocks shared with other countries. The hardest political decision taken, he said, was the limiting of access for coastal vessels, which started as a crisis measure in the cod crisis of 1990. He explained how, over the past 40 years, the three dimensions of sustainability, social, economic and ecological, had gradually and painfully reversed themselves in importance in Norwegian policy. Ecological sustainability was now the top priority while profitability without subsidies was number two. Fisheries management also now had a duty to look after non-commercial species of fish, birds and mammals as well as vulnerable bottom habitats affected by fisheries. Regulation of recreational fishing was as yet underdeveloped. The main presentations are to be found here. The subsequent discussion and debate will be captured in a report and in transcripts to be compiled over the next few days.